I want to read to find iut why they need to conceal their faces. Intriguing! this book sounds so unique and interesting! Thanks so much for sharing! Why do I feel like this is a dark fairytale? Cool summary, maybe she is so beautiful or maybe they are twins? >.< I'm guessing too much. I am intrigued by the idea of a young woman being forced to cover her face without a reason. I love any type of fairy tale/princess story. This one sounds good. I really like the mystery element of why the king makes Wilha hide her face. Thanks for the giveaway! this looks a good read - it has mystery and the chance for humour! I absolutely love the author's biography. What do you like about the summary? I love princess books, especially when there's a sense of danger! I love books about royals and betrayal so thank you for the chance to win this. 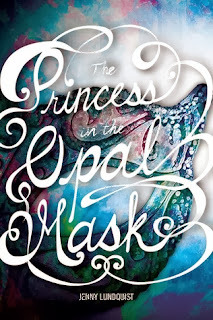 I've loved the fact that this book mix fairy tales universe with suspense and mistery!!! Besides, WHAT A COVER! I like the mystery surrounding it. I like that it hints at a secret identity. What a gorgeous cover as well.